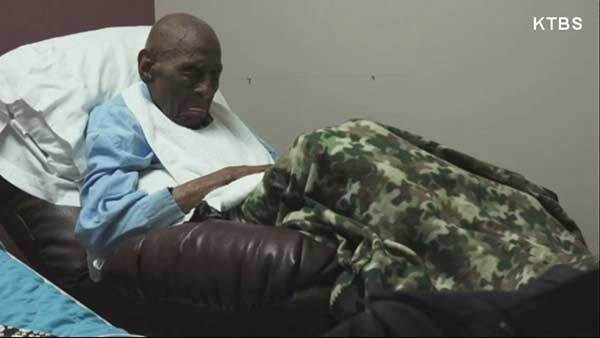 SHREVEPORT, LA -- The oldest verified living World War II veteran has died. Frank Levingston died Tuesday at the VA hospital in Shreveport, Louisiana, KTBS-TV reports. He was 110 years old. Levingston was born in North Carolina in 1905. On his birthday last year, Levingston was invited to Washington, where he got to see the World War II memorial, the changing of the guard at the Tomb of the Unknowns and the White House. He was recently the subject of a profile about his life and service during the war. He enlisted in the Army in 1942 and was older than some of the commanders he served under. Levingston's nephew, Joseph, talked about his role while participating in the invasion of Italy in 1943. "His job was to keep the vehicles up, in order to get all the supplies to the fighting soldiers on the front lines," he said. Levingston never got past the sixth grade in school. But his family said he always talked about the importance of a good education.